You have a killer piece of original content that starts rippling out from its source. The two things social lift analysis can tell you are how far and how fast those ripples move. If the content ripples 900 times, but that takes 10 years, you won’t see much benefit. 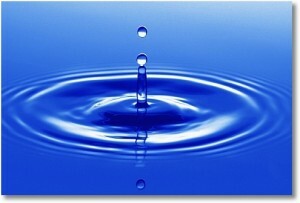 If it ripples 900 times in 28 days, that can be really valuable information. Those rapid ripples are an indicator of what’s happening to the things that you’re doing. They help identify valuable, highly efficient venues in which to place your brand. Celebrities can be one good source of social lift. In using celebrities, it’s not just about the number of followers or fans someone has. That’s just a point in time. Instead, you want to know how likely that number is to grow. The best celebrities for delivering social lift are those whose following has increased and will continue to do so over a period of time. In thinking about whether to select a celebrity, a key indicator of his or her potential is, when other types of content feature this person, how far does it reach and how fast does it get there? Another source of social lift is TV shows. There are two types that exist today, those that are currently on the air and those that are in development. For the ones on the air today, you have to determine what happens when certain types of content, celebrities and advertising appear on that show. What does the overall social lift look like? In considering shows that are yet to air, you should assess the overall reach of the show concept by finding corollaries to it. What is the overall reach of this type of content? What is the overall reach of celebrities that appear in those shows?